Hampton University is preparing for its annual Martin Luther King Jr. holiday celebration on Monday, Jan. 16. Students and faculty plan to participate in a campus-wide march beginning at 10 a.m. at the Emancipation Oak and end it at Ogden Hall. Following the march, there will be a program to honor King’s legacy at 11 a.m. The student attendance rate is predicted to reach a high this year due to the largest freshman class -- 1,400 students -- in Hampton’s history, as well as participation by the many organizations on campus. “I expect a good turnout from the student body. I hope they receive knowledge about what Dr. Martin Luther King Jr. truly stood for,” said Anzell Harrell, director of Student Activities. Instead of resting, some students said the will use the holiday to commemorate King by continuing his legacy of justice, service, and unity. 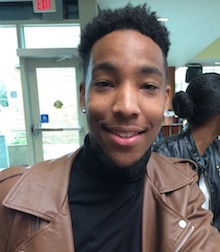 “MLK Day allows us to give back to the community and honor a man who paved the way for myself and future generations” said Joshua Thompson, a sophomore political science major from Salisbury, Maryland. For some, this day symbolizes the similarities between the current and previous generations’ social struggles. It reminds the youth that they have the ability to, therefore they must positively impact society just as King and other civil rights figures accomplished. Hampton is a diverse HBCU with many black students who come from cultures and communities that do not celebrate MLK Day as prominently as the University. With the help of Rev. Dr. Jerome A. Barber from Sixth Mount Zion Baptist Temple, the campus Office of Student Activities was able to secure a speaker for the program: Ambassador to the African Union, Michael Anthony Battle Sr., who served as Hampton University chaplain from 1976 to 1996. Hampton University welcomes the public to attend Monday’s event. For additional details, contact the Office of Student Activities at 757-727-5691. Photo and additional reporting by Timia Whitsey. Both students are in the Scripps Howard School of Journalism and Communications.